Brandable Entertainment to Inspire, Educate & Connect kids to Aviator Heroes! Great Sponsorship Opportunities, all or part! AirparkTV – Web & TV Show on Aviation for Kids & Family! NewHost Version: Airpark is a film project to create a pilot episode of a children’s TV show that . via our web portal and possible broadcast, will bring the world of aviation, the spirit and the goodwill of the aviators, stories from the past and present heroes, to the TV and pad screens of kids & to educate and inspire them to take an interest in aviation. The show, the portal, will be entertaining, fun, educational and will help promote existing youth outreach programs and other aviation activities and crafts. Watch the preliminary promo here! There will be 7 regular feature segments following real kids as they get to meet the heroes of today, take their first flights, work together with other kids in aviation workshops & activities, and interacting with the aviators. There are also special features segments that are being planned on unique, interesting & fun stories. The show will be bringing the spirit of aviators who give their time and money to reach out to youth, to the screen. The film/TV production is intended to reach young children and expose them to the world of aviation. It will provide learning, entertainment and inspiration and complement many existing outreach programs. It will feature real children learning and working on aviation projects and taking part in real life aviation experiences. We fully intend to promote and support the existing groups and efforts to get today’s youth involved in aviation. It will provide ideas for other ways children can work on activities at home to further their learning, and hopefully provide inspiration for many to start taking more interest in their studies. The project has another purpose, to provide the foundation for upcoming projects where a formal apprentice ship for proven film students to get real hands on apprenticeships on real productions, complementing their studies and aiding them to get paid a bit to help with their schooling. <—-Click the filmstrip See EAA Young Eagles PSA TV Commercial. The work was edited from our camera test footage from the B-17 Event! It was so heartwarming, we decided to cut a great little PSA. The spot was reviewed by EAA and is now approved! It will be made available for Young Eagles chapters across the country in a September announcement from EAA.! 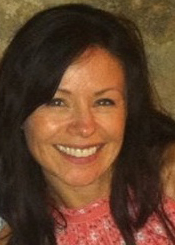 We are thrilled to announce the addition of Gaylene Garcia-Granger as one of the writers to Airpark TV Show. She has built a list of very impressive credits over the last 20 years. Gaylene earned her Bachelor at CU’s Journalism School in Boulder CO. and has been in the TV biz over 15 years. This Emmy-nominated producer got her start in corporate production as a coordinator and then Production Manager for USWEST Creative Services. From there, she moved onto cable programming with High Noon Entertainment in which she wore many hats from researcher and coordinator to field producer on programs for HGTV and the History Channel. Following that, she took off around the world writing and producing for Citizen Pictures and their Travel Channel, Discovery Network, and Food Network programs. She’s had the unique pleasure of traveling to and writing about the “World’s Best Beaches”, writing for the harrowing “Dispatch from the Danger Zone”, and then literally taking a bite out of delectable shows like “Simply Delicioso” and “Giada’s Weekend Getaways”, featuring celebrity chef, Giada DeLaurentiis. Today, she spends much of her time running around after her two, high-energy, beautiful little girls and is “learning to fly” with Airpark TV! She will be working on several segments for us including the “kid craft” section and other special features. This weekend we were filming EAA Chapter 301‘s Young Eagle rally at Centennial Airport. We worked with aerobatic pilot Dagmar Kress, Mark Van Tine, and teen pilot Autumn Page. We will be editing and posting small vignettes over the next week. Check back for links or check in with our youtube channel. Greg Anderson and Rudy Kneiss, Suzanne Yenopolus and the folks at Jeppesen get a big thank you for helping us capture on the great things that they are doing. These folks give their time effort and money to make a difference in children’s lives, heroes in their own right. The genuine caring and giving, the interest they take in youth is exactly what we hope to capture and bring home on the screen. The pilots and aviator donate their own time, money to bring something good to children. You can see the great stuff that life is made of in the footage. The crew got some spectacular footage that we will be editing vignettes and show teases within the next few weeks. Thank You to Sheri Kaz, Stephen McKissen and Tori Olson! It was absolutely heartwarming to see the dedication and caring that the aviators have towards our youth, giving them life long memories and inspiration! We hope Airpark TV can continue with that spirit and help to bring more kids into that great life changing experience! 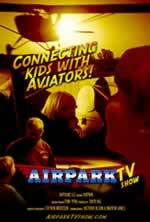 You can help us to get Airpark TV show for kids off the ground. If you are interested in sponsoring us and receiving brand ID on the programming, please get in touch!